I loved spending time with Jessica and Pete at their amazing wedding last weekend in a really cool urban venue in Sodo in Seattle called Canvas Event Space. I love how they transformed the space to make it so unique and completely them! I see now why the venue owners called it Canvas, it really is a blank canvas on which to create your own really cool event. The very talented florists went to town decorating the venue and used lots of vines and greenery to really soften the urban feel. Who here has read the book “Where the Wild Things Are” by Maurice Sendak? It reminded me of that – ha ha. Pete and Jess are literally THE most relaxed bride and groom ever. 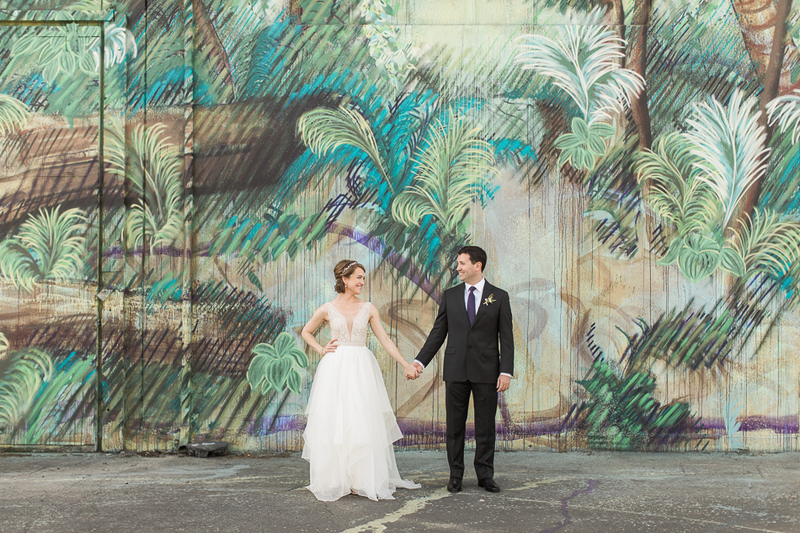 Erika the planner coordinated an amazing team of vendors who guaranteed their special day one was for the books. Some of my personal favorite details were the tables decorated beautifully with ferns and gorgeous floral arrangements. The updated twist on the corsages the ladies wore – the flowers attached to the gold cuffs… check out the photos below. And the fact that Jess and her girls, including Grandma, changed into cute sparkly Kate Spade sneakers for the dancing! I hope you enjoy looking at a handful of photos from their urban Seattle wedding and feel free to leave the happy couple a note in the comments below. I am sure they’d love to hear from you.